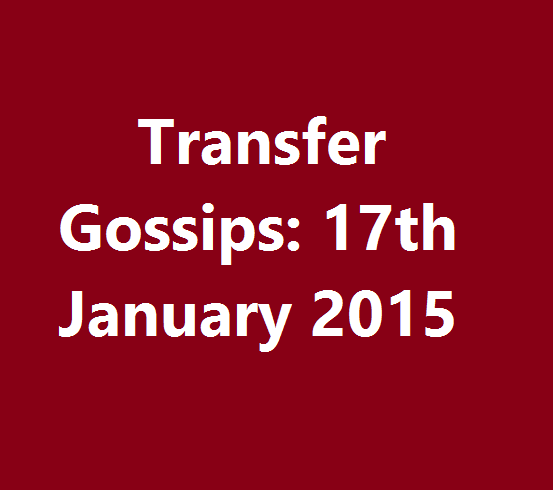 Transfer Gossips: 17th January 2015: Roma, Inter Milan and Napoli to fight for Mohamed Salah, Manchester United set for Hummels’ deal, Brozovic and Antonio Sanabria linked with Arsenal. Roma, Inter Milan and Napoli to fight for Mohamed Salah, Manchester United set for Hummels’ deal, Brozovic and Antonio Sanabria linked with Arsenal. Serie A side Roma have entered the race to sign Chelsea attacker Mohamed Salah, as per Daily Mirror. Inter Milan, Napoli and Turkish side Besiktas are also in the race. Daily Star reported that Yaya Toure might leave Manchester City after six months as his comments revealed that he is not sure about his future, he will see that time. Meanwhile, City manager Manuel Pellegrini is confident that the Ivorian will stay. Real Madrid are planning to offer midfielder Sami Khedira to Dortmund as they look to secure Marco Reus deal, according to El Confidencial. Liverpool target Marcelo Brozovic of Dinamo Zagreb has revealed his desire to play for Arsenal, according to his agent Miroslav Bianic. The versatile midfielder has been strongly linked with the Premier League sides. Manchester United are set to land Mats Hummels as reports revealed that the German centre-back has decided to leave the Red Devils. Arsenal are targeting Roma forward Antonio Sanabria, as per Leggo reports which also claimed that Deportivo La Coruna are also keeping tabs on the teenager.